The transgender individual in this story is referred to as a male for purposes of clarity, because he is a biological male who presents as a female, and because no legal record of his female identity or name change could be discovered through research. 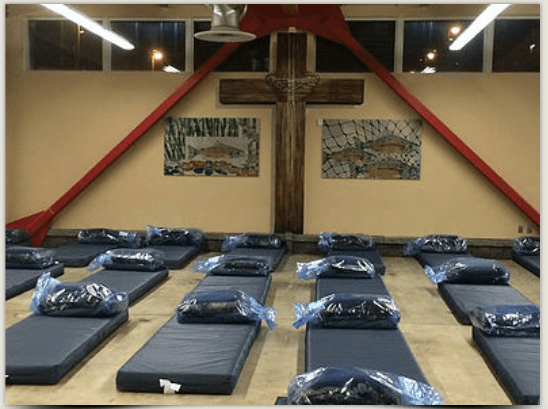 The Brother Francis Shelter takes both homeless men and women, but because of the circumstances of his inebriation and fight, the staff sent him over to the Hope Center, which runs a shelter for abused and battered women who are homeless. Four days later, Coyle filed a complaint with the Anchorage Equal Rights Commission, saying that he had been discriminated against at a place that provides “public accommodation.” He alleges he was refused entry because he is transgendered. Transgendered means he is in a protected class of individual, his complaint says. He cannot be refused service. In fact, if the Hope Center had to admit men, it would not have the physical means to segregate them from the women. His court records show that Coyle is a man with an extensive criminal record, including violent crimes. Coyle’s complaint is clean, legalistic, and notarized. He may have gotten help from Abused Women’s Aid in Crisis (AWAIC) in filing his complaint against Hope Center. If indeed AWAIC is helping transgendered persons file complaints against another women’s shelter over the issue of men seeking entry into a place reserved for the safety of traumatized women, then the AWAIC board of directors may have some new policy decisions to make.